Are you a blogger or a journalist? Contact us for a free license with no strings attached! 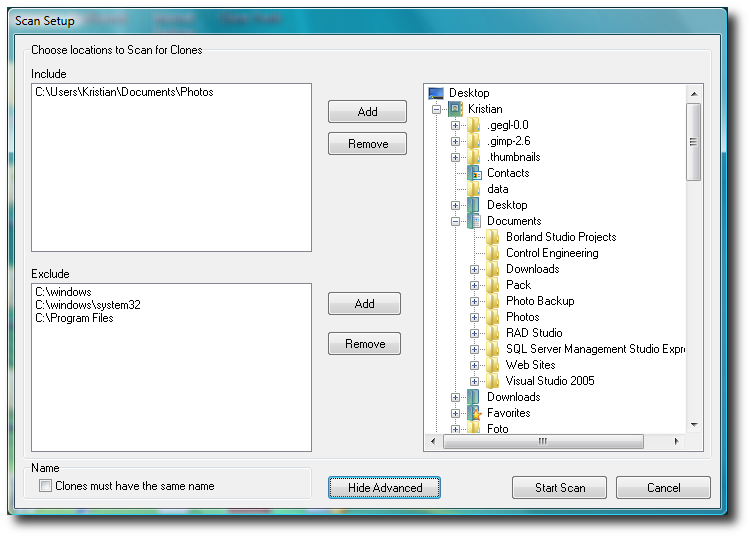 Shows the result of the duplicate scan, in this list you choose the folder/file that you want to work with. Displays the duplicate files or folders with shared contents of the item selected in the clones list. 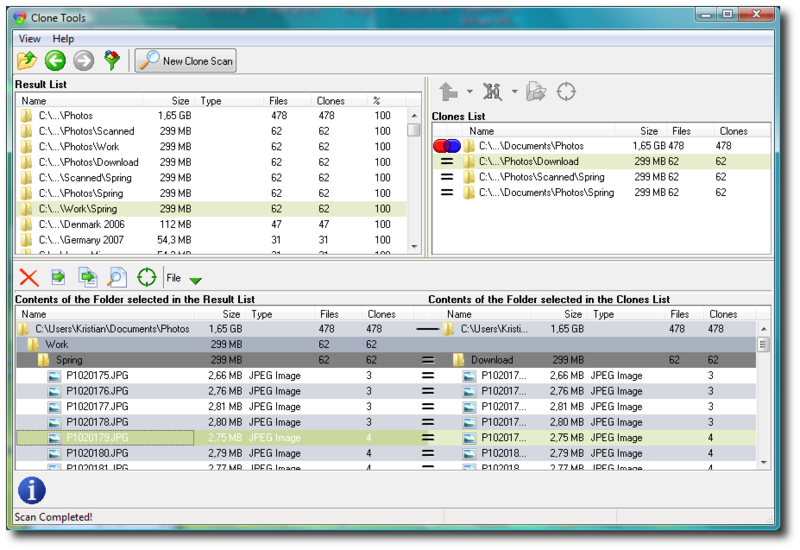 In the twin browser the contents of two folders can be compared side by side. This way it is easy to see shared duplicates in the folders and also which child folders that has similar content. More information about the Twin Browser. 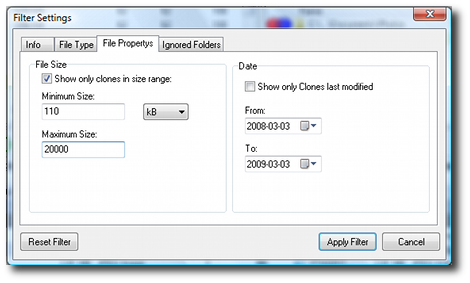 Clone Tools can be used to scan any combination of folders for duplicate files including network drives and USB drives .There are some folders that are excluded as default, these are system folders that contains files that are used by windows or other programs. 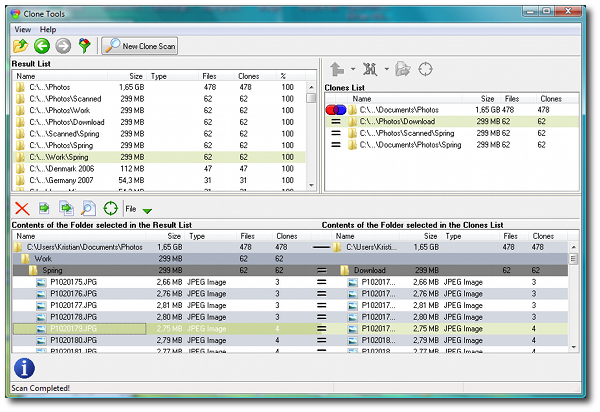 Clone Tools has a useful filter that allows you exclude files from the result based on file types or file properties. There is also an option to ignore specific folders or files if you know you want to keep them without changes. (c) 2010 PilotMan software. Design by Free CSS Templates. Use Clone Tools to: Find and delete duplicate images . Find and delete duplicate	mp3.